Located in the Mekong River delta, 87 km to the west of Ho Chi Minh City. It takes only 2 hours to travel by bus from Saigon. As a result, Ben Tre has been attracting lots of tourists with its natural landscapes and culinary diversity. Tourism is new for Ben Tre, hospitality businesses are not fully developed to handle the demands and expectations of customers. That’s why tourists are often struggling when searching for the most suitable places to stay in this large “land of the coconut”. “Where should I stay in Ben Tre?” can be regarded as one of the most asked questions of many tourists planning their trip to Ben Tre. To ensure the most comfortable experience, reserving the most suitable accommodation will help you save a lot of time and money. Ben Tre has three areas to choose from for your stay which are the city center, outer districts, or in a resort. 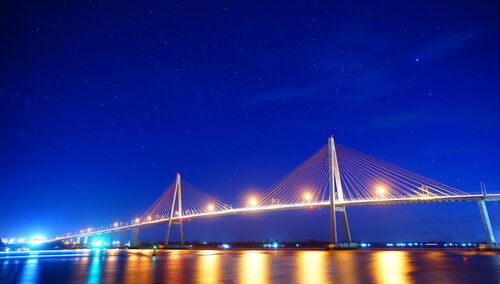 What I hope to do in this blog is to give you an overview of the most favourable areas in Ben Tre regarding price, convenience, and activities. You can pick the most favourable place that best matches your itinerary. Are there many places to stay in Ben Tre province? Compared to other cities in Vietnam, Ben Tre province has limited selection when it comes to accommodation. Tourist attractions are located far away from each other making it difficult for tourists to know where to stay. The best area to stay in Ben Tre is gonna depend on your personal interests and budget. I’m gonna break down all the options to help you choose the best location for your stay in Ben Tre. What area to stay in Ben Tre if you travel for only 1 day? 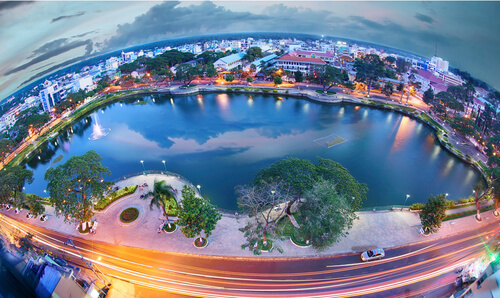 The best area when staying one day in Ben Tre is to stay in the center of the city. There are plenty of options for accommodation, ranging from low-price guest houses, friendly homestays, luxurious hotels, and small resorts. This area is a very popular in Ben Tre, with lots of restaurants, coffee shops, and shopping. Walking is extremely convenient so you won’t need to hire extra transportation compared to staying outside of the city center. In the center of the city, there are two streets where most of the actions take place. Dong Khoi Street is where many restaurants, karaokes, and bars are located for late night fun. Hung Vuong Street is home to the famous Ben Tre Night Market along with almost all of the 4 star and above hotels. This street is also running along the beautiful riverside making it scenic for a night out taking photos. Located in one of the main hubs in Ben Tre – Dong Khoi Street, Mekong Hotel & Restaurant is a sound option. This hotel has a great combination of location and simplicity for such a reasonable price. At only $10-$35 per night, this might be a steal for travelers on a budget. Another alternative is Viet Uc Hotel located right next to Ben Tre Night Market and 5-min walk from the shopping mall. Being one of the first 3-star hotels in Ben Tre, Viet Uc Hotel is still in tourists’ favorite list thanks to its consistent quality and friendly service. The rooms in Viet Uc will be simple, clean, and neat but don’t expect too much in the way of luxury. Growing up in Ben Tre, this was known by everyone as the best hotel in our city for years! There have been nicer accommodations that have come in recent years but this is still a favorite. If you are searching for a resort right in the middle of the action, check out Ben Tre Riverside Resort. A little further out from the city center, this is one of the newest and highest ranked resorts in Ben Tre. The astonishing riverside view where you sit to have breakfast surprises both locals and tourists with its warm feel. The price fluctuates between $65-$300 depending on the room. It offers a stunning outdoor pool with views of the river. Other amenities include complimentary shuttle bus from the property to Ben Tre Night Market, Bike and Car Rental, a cosy shared bar/lounge and an indoor Fitness Center. Where to stay if you are a nature and culture lover? A real nature and culture lover will prefer farms and gardens surrounded by fresh air. There are great places in nearby districts away from the city center. This is where you can enjoy living with nature and making friends with local people. As it is very quiet in the districts at night, a lot of homestays and hotels here have their own restaurants and entertainment services. Don’t miss art performances, culture tours, or ecotours while you are staying in this area. It will be a true local village life at night as there are no other activities nearby in the districts. It’s suitable for those wanna make friends with the locals and enjoy the real specialities, but you don’t expect too much on the quality of facility and other conveniences. Outside of the city center in Chau Thanh District, Coco Land Homestay is one of the best-rated homestays in Ben Tre. It is equipped with a wonderful outdoor pool surrounded by a fresh garden. It is also located near famous tourist attractions like Phoenix Island or Thanh Trieu Local Market. The host family is said to be always helpful and kind. They will make you feel at home and part of their family. They can help you with activities like wandering and exploring the local Chau Thanh District on bicycles, learn how to pick fresh fruits in the garden, and cook Vietnamese dishes with the lovely host couple. If you wish to have a unique experience like this, you definitely have to stay here. The money you’ll spend on your stay will be worth every penny. Another pick to get rid of the buzz of the city is Coconut Homestay, located in Mo Cay District. This district is home to most of the coconut candy traditional villages in the Mekong. What makes this place special is that the wall of every room is made completely of coconut wood. The host family is friendly and charming. They are willing to show you local sights that you must visit around the Mo Cay district. They will also offer you Vietnamese style breakfast with traditional iced coffee. The sprawling Ben Tre Farm Stay is one of the largest homestays in the Mekong. You can enjoy the relaxed and pure Vietnamese village landscapes with surrounding tropical fruit gardens. Ben Tre Farm Stay can also arrange a package of activities, including amazing boat trips, bike tours, and food tours. Where are the resorts in Ben Tre? Last but not least, resorts are ideal for family or people who prefer to relax in an all-in-one property. You will be offered a wide range of services, restaurants, and spas. Such resorts are decorated to reflect the countryside of Ben Tre province. 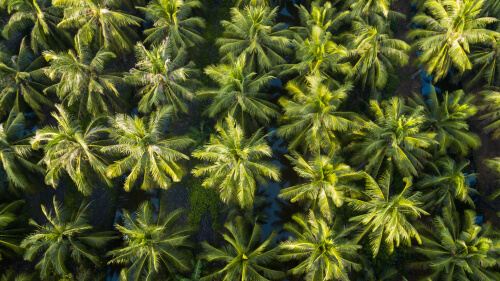 The resorts have orchards, thatched houses, rivers and lots of coconut trees. Yet, these areas are isolated and you can only enjoy the limited facilities and entertainment on the resort. Every resort usually offer you their own transportation but it is not as flexible as when you stay at a hotel outside. One of the most recommended resorts, is the newly built Forever Green Resort. This resort has become the most checked-in location on Instagram in Ben Tre. The meaning and purpose of this resort are explicitly revealed in the name – “bringing visitors back to nature”. It is a worthwhile area to stay in during your vacation. Besides a full range of four-star functions and services, it also makes a difference in its unique and diverse recreational activities including fishing, boating, orchards, folk games, campfires, countryside discoveries, or firefly watching by boat at night. This is also probably the best option for any team building options in Ben Tre. Where to stay in Ben Tre, it’s up to you with all these options! With the fast-growing tourism, especially ecotourism, Ben Tre province is becoming a favourite place for tourists. 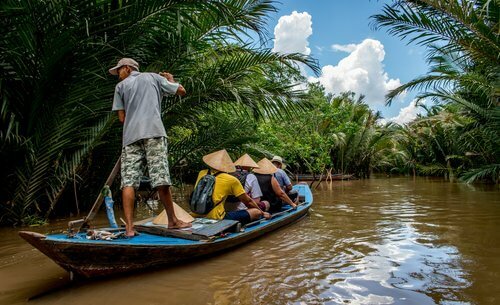 I believe that anyone who is planning a trip to Ben Tre definitely want to seek out the combination of natural beauty and authentic Vietnamese experience. I know that vacation time is precious so what I hope to do is to bring you the best of my knowledge about my hometown to plan for a perfect trip. Wish you a memorable journey and great experience in Ben Tre province.